Blake has been doing HVAC work for over 6 years. 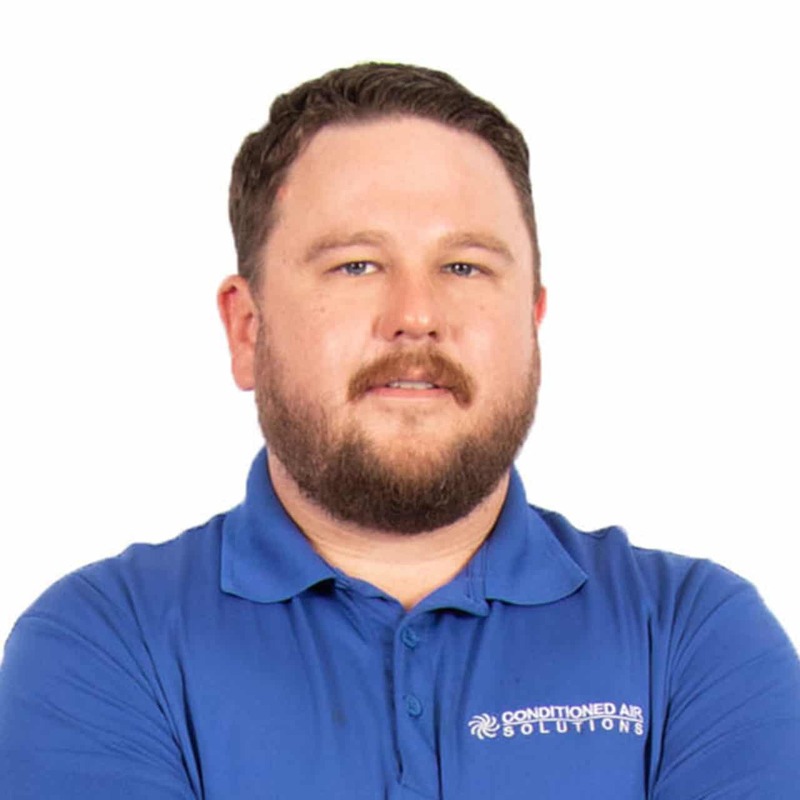 He started out as an intern with a company and worked his way up to a technician and installer. Blake loves fixing things, and this environment is the perfect way for him to get to do that every day. The friendly and professional atmosphere at Conditioned Air is what he enjoys most here. Born and raised in Hazel Green, when he is not at work he likes to spend time with his daughter. Playing golf, working in the shop and cheering for Alabama are the things that he likes to do in his down time. If he were able to have a super power he would like the ability to talk to animals. “Just imagine what an old alligator could tell you”. His favorite snack is chocolate chip cookies.